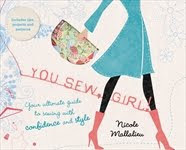 You SEW Girl: Sweet... (click click)...Petite. 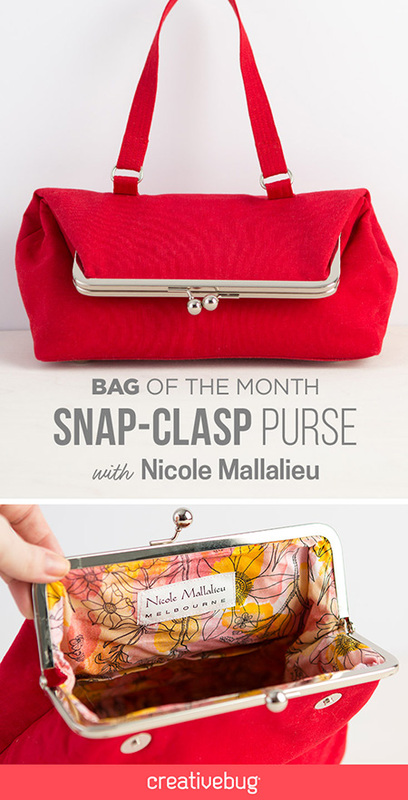 My old Evening Bag pattern has been given a bit of a facelift lately. We're nearly finished a re-working of the instructions and trying to decide on a new cover design. ﻿And it's being re-named, because it was always so much more verasatile than just for making evening bags. From here on, it will be called "Petite." I made this one in a mock-crock patent pvc from Rathdowne Remnants (from the furnishing fabrics in the back room). Of course, it absolutely had to have a twist lock* on the front, and chunky silver o-rings. At this point, I must say how very proud I am of my dearest little Bernina 440 for ploughing bravely through this lot. 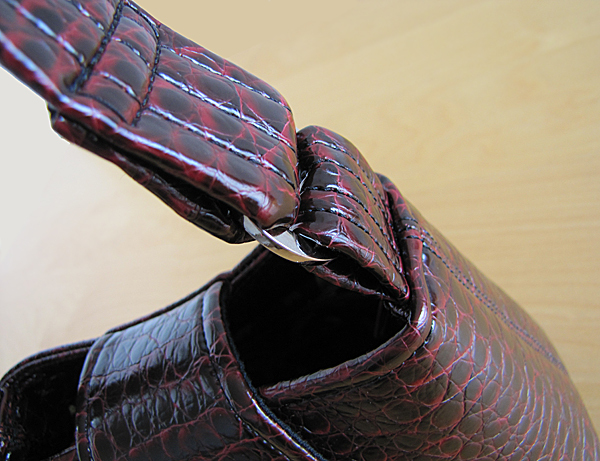 To do the final topstitch around the top edge of the bag (through all that strap and side seam bulk), I first tried it on my industrial machine with a heavy needle and teflon foot. The industrial machine wouldn't pick up the stitches. I changed to the Bernina, put in a leather needle, whacked on the walking foot and .... I think I can, I think I can... it chugged on over that hill! I also absolutely had to put purse feet in this bag. 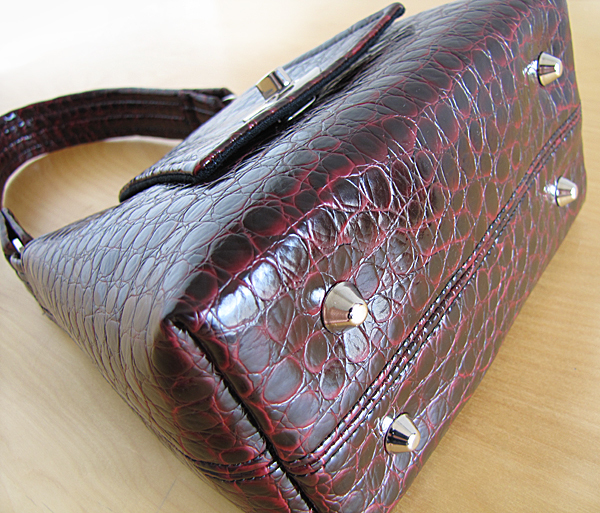 Mock-croc patent PVC absolutely needs hardware. And then I went all sweet and petite for a little-girl bag. This version required a spot of shabby-cottage dreaming, and a bit of that Flower Sugar fabric I bought at GJ's a couple of weeks ago. It seemed to need some o-rings as well. A bit of shiny-shiny never goes astray, I say. ..and it needed a bit of lace from Auntie Wilma's stash. 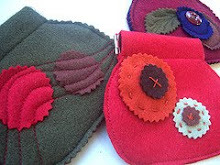 Having taught two Shell Purse workshops in the last week (Mornington on Wednesday and Canberra on Saturday), I've also been making quite a few of them lately, myself. 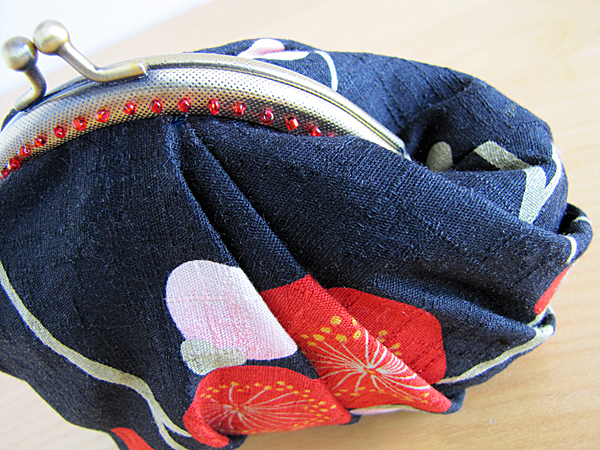 I used the last of this precious fabric, which bought at Kimono House several years ago. 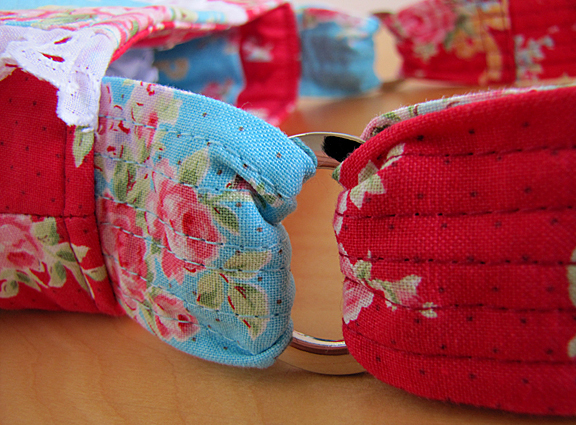 ﻿This one is now at Bargain Box in Mornington, along with a wide range of my patterns and hardware. 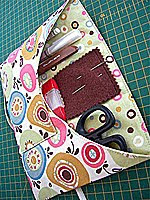 (BTW - I'll be teaching a bag-in-a-day with the Petite bag there on 3rd May. Contact Bargain Box for details). 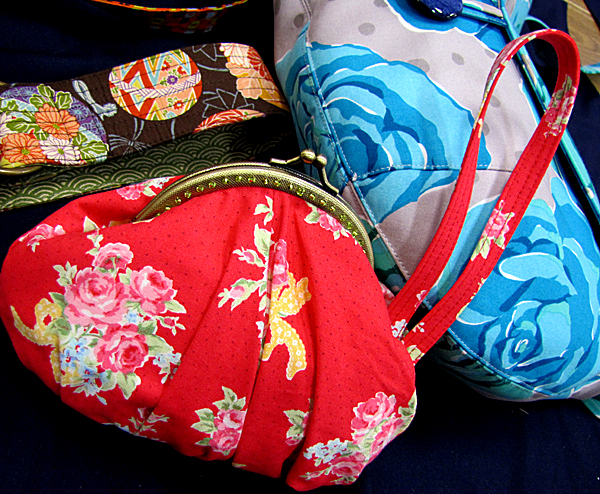 I left a couple of Shell Purses and a new Glam Bag at Addicted to Fabric in Canberra, as well, which I forgot to photograph ...just like I forgot to photograph the workshops I taught there on the weekend. I think I was having too good a time! * And yes - our TWIST LOCKS are now available to stores. 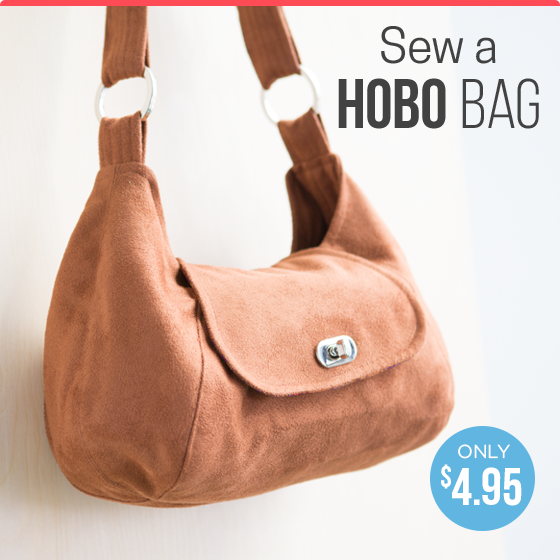 Check your local You SEW Girl! stockist (or ask them to get them in for you..?). And of course, the fabulous Voodoo Rabbit has them online. Love, Love, Love the new Moc-Croc Petite!!! The evening bag has always been one of my favorites, and I've made it with so many variations, but rarely as a real "evening bag" - the "Petite" name is so much more appropriate - good choice! And I have a teflon #1 foot that I use on my Bernina when sewing on laminated cotton. Although, with all those layers, I'm sure you need the walking foot just to feed it thru. Too bad they don't make a teflon walking foot. WTG Mr Bernina for ploughing right on through there! 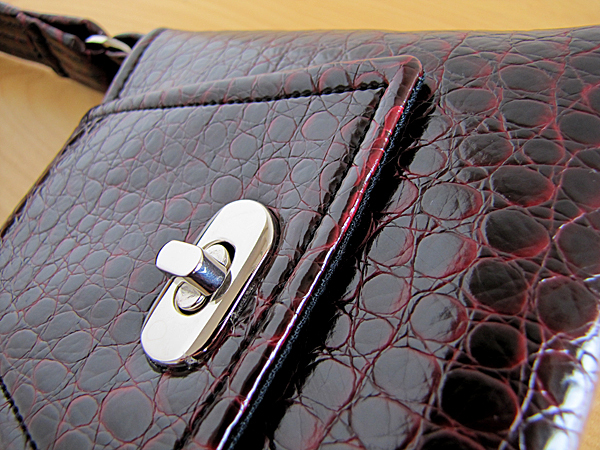 Love, love, love the mock croc Petite .. and I'm quite sure my machine would go on strike if I even suggested to the old lady that she give mock croc (or leather or anything in that line) a go. 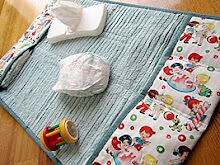 The Petite is my go to pattern for kids and, given the right fabric, even teenagers! 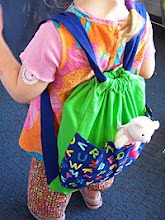 That mock croc bag is bea-u-ti-FUL! I'm impressed with your Bernina, being able to handle that. The lace really suits the flower sugar, too. 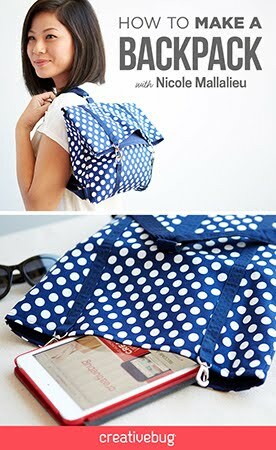 goodness you do make nice bags. Gotta love those Bernina moments. I'm sure the machine took one look at the mock-croc and said "well of course I have to make it into a bag"! Fabulous photos, thank you for letting us see your cleverness!